All staff rotate through both SAS and POAC. 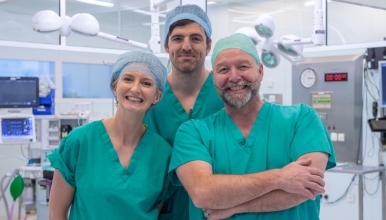 The role of the successful candidate includes supporting the team in the SAS; in the planning and coordination of admissions with bookings and waiting lists; ensuring that on the day of surgery patients are full prepared and ready to go to theatre for their operation. In addition the successful candidate will be undertaking telephone pre- operative assessments. When working in POAC the role will involve undertaking full clinical assessments of patients using an electronic assessment tool in order to optimise patients prior to surgery. Both aspects of the role require excellent communication skills and an ability to liaise with members of the multidisciplinary team. Training and professional development are well supported within the department to enable the successful candidate to build on existing skills and knowledge. The unit is currently open Monday to Friday between 7.00 am and 6.00 pm and Saturday working when required. Cross site working may be necessary as per contract to maintain the service. Our aim is to provide the very highest standards of care to patients and relatives alike, ensuring privacy and dignity is maintained at all times. The candidate should possess a registered nursing or ODP qualification, be highly motivated, enthusiastic and a team player. Excellent communication skills, verbal and written are essential and in addition the candidates are required to provide evidence that they are able to work on their own initiative and prioritise their workload. IT skills are essential. The successful candidates should also be able to demonstrate a desire and willingness to contibute and be involved in the development of our Surgical Assessment Suite and Pre Op Unit. SAS and Pre Op are a small cohesive team and is a very friendly and rewarding area in which to work.